West Indies must be feeling disappointed as they lost the last game against Australia despite scoring good runs and setting a good target. However, they should play their natural game without bothering about the past and future events. Some of the WI players played very well especially Marlon Samuels, who scored a ton. They should be proud of their batsmen who set the 280 plus target. For their team, Samuels and Sunil Narine played a big inning. Samuels did it with the bat while Sunil played his part with the bowl. In this match too, WI would be counting on them only while they play against the Proteas on Friday. Irrespective of all the other things, the Caribbeans have a major issue which it is to be dealt with. It’s skipper Jason Holder is suffering from a hamstring injury, and he will have to pass the fitness test before going out on the ground. The condition of the injury is such that he will not likely play the game, and Denesh Ramdin will come into his place in today’s match. In the meantime, SA is ahead of the WI in the series point table. It’s all because of bonus points which the team got due to a couple of wins against WestIndies and Australia. Irrespective of all the conditions, the side led by AB de Villiers can’t afford to lost the game if they want to proceed with the series final against Australia. Till now, Hashim Amla and Imran Tahir are performing their best in the series so far for RSA. Moreover, they have all the abilities and strength to defeat any team in the world as they have done in this tri-series so far many times. The hosts would get into a serious problem if they failed to restrict the batsmen of the Proteas. To make this happen, they will have to break down the top order of the South Africa as much as they can. West Indies: Johnson Charles, Andre Fletcher, Darren Bravo, Marlon Samuels, Denesh Ramdin (C & wk), Kieron Pollard, Jonathan Carter, Carlos Brathwaite, Sulieman Benn, Sunil Narine, Shannon Gabriel. SA: Hashim Amla, Quinton de Kock (wk), Faf du Plessis, AB de Villiers (C), JP Duminy, Farhaan Behardien, Chris Morris, Wayne Parnell, Kagiso Rabada, Morne Morkel, Imran Tahir. 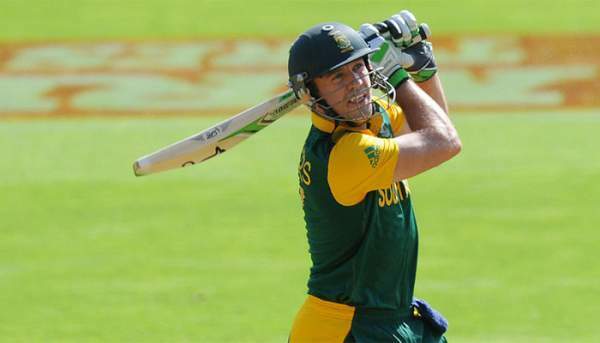 WI vs SA 9th ODI is to start at 1 pm local time (6 pm BST). Below are the details to watch it on TV and online. India: TV: Ten 3 and Ten 1 HD. Live Stream: Ten Sports live. Australia: TV: Fox Sports. Live Streaming: Foxtel and Cricket Australia Live. South Africa: TV: SuperSport 2. Live Stream: SuperSport live video. UK: TV: Sky Sports 1. Live Stream: Watch Sky Sports. Stay tuned for the match result, full highlights, scorecard, man of the match, etc. Don’t forget to share it on social media with your friends. What are predictions? Who is going to win the game?